Crystal clear window on both front and back side which is perfect for taking pictures and videos, reading and replying to emails and text messages, as well as viewing other applications on your phone such as maps. 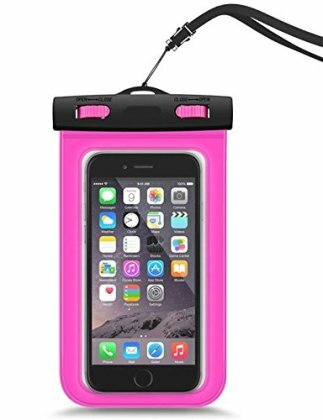 Features easy snap and lock access to the case in order to keep out water, snow and other unwanted debris. Certified to Keep waterproofed for up to 100 feet below water.